The future of energy and how we use green resources to power our homes and cars remains a hot topic in homes and businesses across the globe. 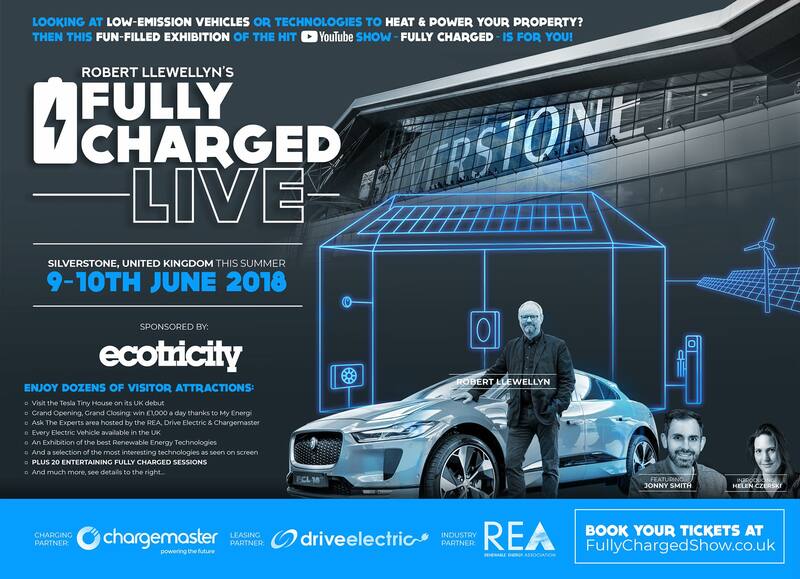 This month it will be the main talking point at the Fully Charged LIVE event, where Rexel UK will be exhibiting a range of its own products that make for better connections within the home. At the event Rexel will be promoting its advanced EV charging points that are ideal for residential and commercial properties. Also on stand will be a graphical representation of smart technology for homes including solar panels and batteries that facilitate up to 70% energy storage to use at a time that’s most convenient for you. The team on hand will also take visitors through the benefits of smart home products including the Nest learning thermostat, Nest protect and smoke CO2 alarm, Nest CAM ICU outdoor in addition to a brand new product to be launch mid June – the Nest hello video doorbell. The event is set to take place at Silverstone circuit on June 9th and 10th and is dedicated to Robert Llewellyn’s Fully Charged YouTube show about the future of energy and transport . Rexel UK will be located in Hall 3 where visitors can stop by to discuss the benefits of installing EV charging and the associated logistics. Rexel offers charging points suitable for use at home, in car parks or on public highways and offers both standard charge and rapid charge options varying between 6 to 8 hours for a full charge to just 30 minutes for an 80 per cent charge. Alongside the exhibitor stands there will be plenty to do at the Fully Charged LIVE event, with Robert Llewellyn, best known for hosting Channel 4’s Scrapheap Challenge and starring in Red Dwarf, hosting theatre sessions, alongside Jonny Smith, from Channel 5’s Fifth Gear, and Helen Czerski from BBC’s Fire and Ice, also presenting. Visit our stand in Hall 3 and enter our Selfie Competition! Visitors to the stand will also have the chance to win a number of exciting prizes for their connected home or business including a vehicle charger, an annual theme park pass and a range of Nest products. Just take a selfie on our stand, like our competition post on Facebook (@RexelUK) and leave your picture in the comments! Don’t forget to ‘like and share’ our page to stay up to date with Rexel’s latest products and services, and of course, to find out if you’ve won!